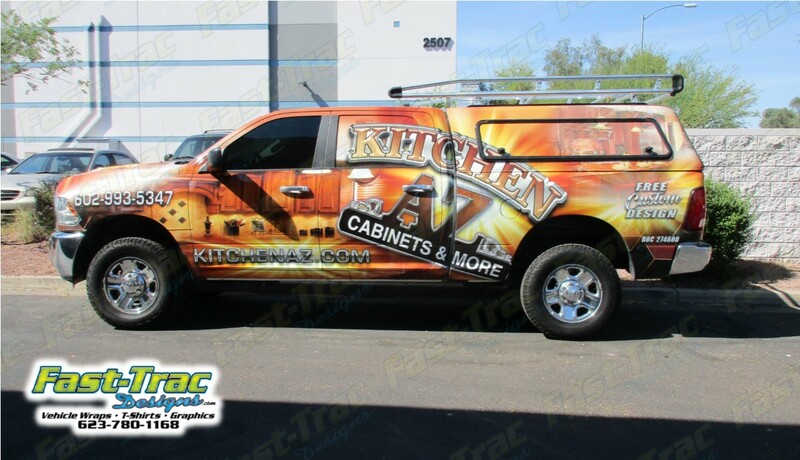 Vehicle Wraps and Screen Printing by Fast-Trac Designs & Phx Screen Printing: Should you update your logo? Would you say a business logo is important? Being branded with a symbol or picture so that when people see it they know exactly what company you are. This is an ultimate goal that all companies big and small would love to achieve. Now if you have your logo and you have been in business for 5 or more years many people wonder if you should change your logo or update it and the answer is yes. The trick to this is to just update the logo not completely change it. You want your brand to remain recognizable, so subtle changes can go a long way. An example of this is the Microsoft logo. In 2012 Microsoft changed their logo for the first time in 25 years. The colors stayed the same while the shape of the logo took on a more simplified appearance. Some people loved it some hated it but nonetheless people were talking about it. Here at Fast-Trac Designs we did something similar for one of our clients. In 2011 The logo was designed and now in 2017 they decided to change to an updated version. We have applied it to business cards and their company truck so far. We believe that the updated logo will catch attention due to the brightness and colors used as well as the over all look appearing more current. In the end updating or making changes to your company logo is a good idea. Is it required? Certainly not but sometimes a slight change can get people talking and noticing your brand.